While it was cold and brisk outside, Erin Lawler Patterson was describing her time in the warm, green areas of Italy to the people in the Seneca High School Media Room. A bunch of eyes were focused on her while she shared her life experiences to those who had attended her book signing. 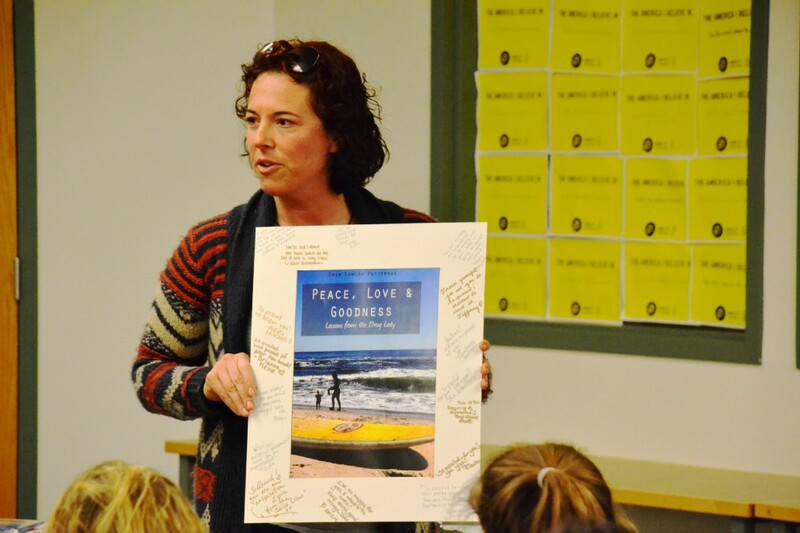 Paterson’s book, “Peace Love and Goodness: Lessons from the Drug Lady,” chronicles her personal experiences and the life lessons it taught her. 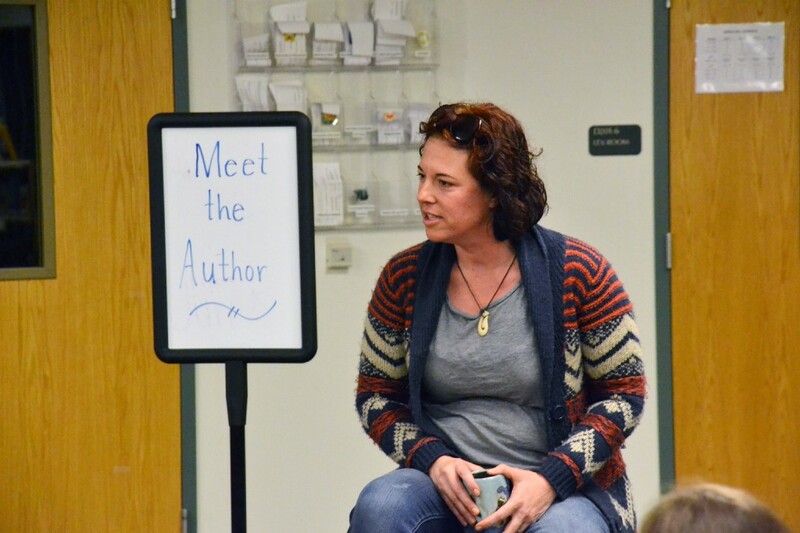 In the book, Patterson, who is an avid traveler, tells stories about traveling abroad. Some areas she went to included not just Italy, but areas of Eastern Europe and other parts of the globe. Her sightseeing led her to meet unique people around the world, many of whom shared their stories with her. Patterson, who is the substance awareness coordinator at Seneca, hopes this book leaves an impression on whomever reads it, no matter what age or level of experiences someone has had. There were many people on hand to have their book signed. Two of the people on hand for the event were Juliane Saiia and Cindy Lee. Patterson’s message and motivational words have traveled not only through the halls of Seneca; it has spread globally. She writes columns for mental health websites in the United Kingdom and Australia. Patterson is already in the process of writing her second book. She mentioned during the discussion of her book about everyone having a finite time how they can leave an “imprint” on someone else’s heart. She hopes she leaves an imprint that other people she has come in contact with would like. “Peace Love and Goodness: Lessons from the Drug Lady” is on sale now on Amazon.